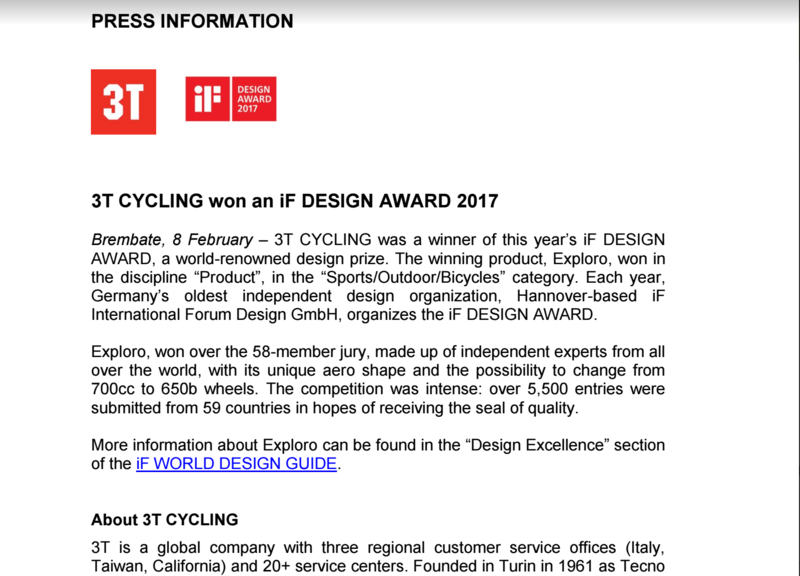 It’s like winning a Grammy, Emmy, or Academy award and from now on, 3T Exploros will ship with an IF Design Award designation. The praise is well deserved. So much so that Mark V chose one for both gravel and cyclocross duties, and I bought the OPEN U.P. (a bike closely related to the Exploro) as mine—theses are not demos on loan for review, but our personal bikes. Both were designed by Vroomen and are the most interesting bikes in the past 5 years. The UP established the ride qualities and dual-wheel capability; the Exploro refined the concept and integrated aerodynamics. The Exploro is like a souped up drop bar MTB, an aero gravel bike, or more specifically a premium offering in the mixed-surface road segment. 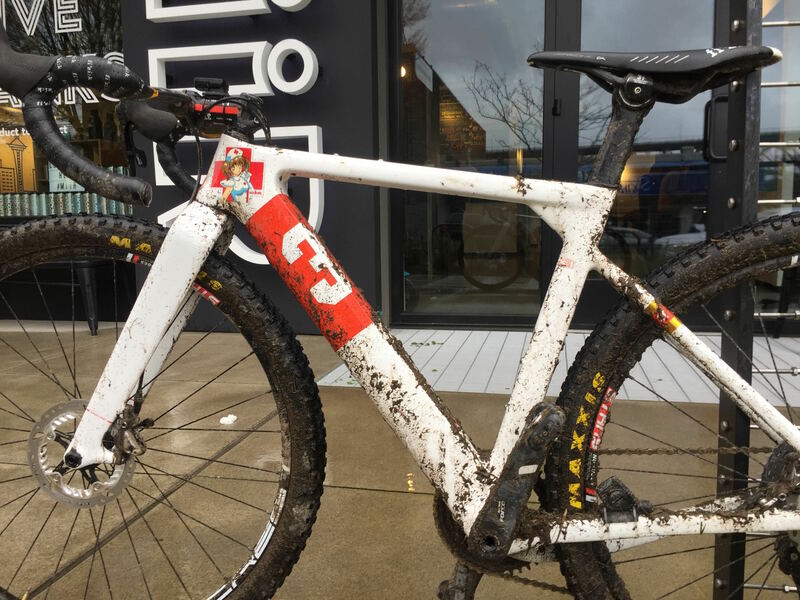 The 3T Exploro is like Robert Egger split off from Specialized to design aero scooters and then then joined ENVE, and suddenly ENVE started making bike frames. If you consider the geometry, it’s a Tarmac that can fit 700C x40mm tires or 650b x2.1″ tires. That means you can race the Tuesday night crit on your road wheels and then swap wheelsets for a plusher ride and a gravel century on the weekend. As I shared last summer on Medium Bicycles, it may sound like boastful marketing written by millennials with a million dollar budget, but really, “Going slow fast” is a thing. Exploro is the world’s first gravel frame to consider aerodynamics, which was introduced from 3T last year. The competition was intense – over 5,500 entries submitted from 59 countries. The jury was made up of 58 members, who were independent experts from all over the world. They have rewarded the Exploro unique aero shape and its possibility to change over 700C to 650B wheels. The Exploro is available as a frameset only at $4,200 for the LTD model and Team at $3,000. Find one direct or a dealer near you.